It never fails…when I buy bananas, there are always a few left that turn brown before they are eaten. So, time to make banana bread! But, I have found it difficult to find a recipe that I’ve love. 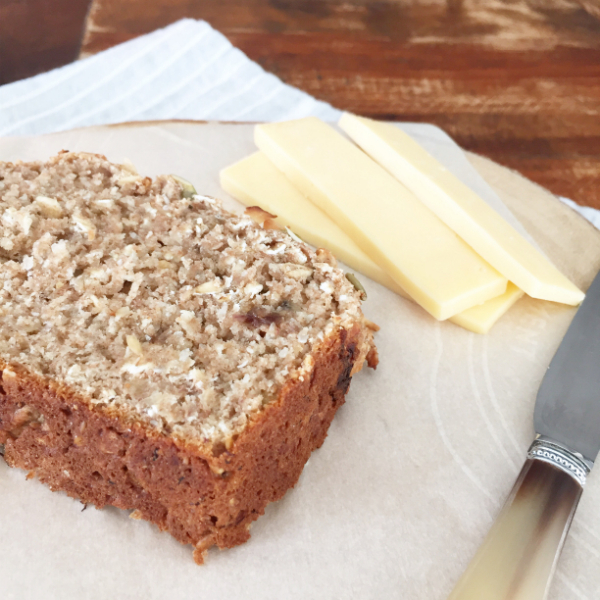 Most banana breads are loaded with sugar and are really more cake-like. This recipe from Nourish Atelier appealed to me as it’s chock full of healthy ingredients and the idea of caramelizing the bananas intrigued me. Sooo, I gave it a go, but to make it school lunch friendly (a.k.a. nut-free), I adapted the recipe, swapping out the walnuts for coconut and the almond milk for coconut milk. This is really much like a bread….not overly sweet. It’s quite dense and filling…a great option for grab-and-go breakfast. And it’s super easy to make. Preheat oven to 375 degrees F and grease two loaf pans. 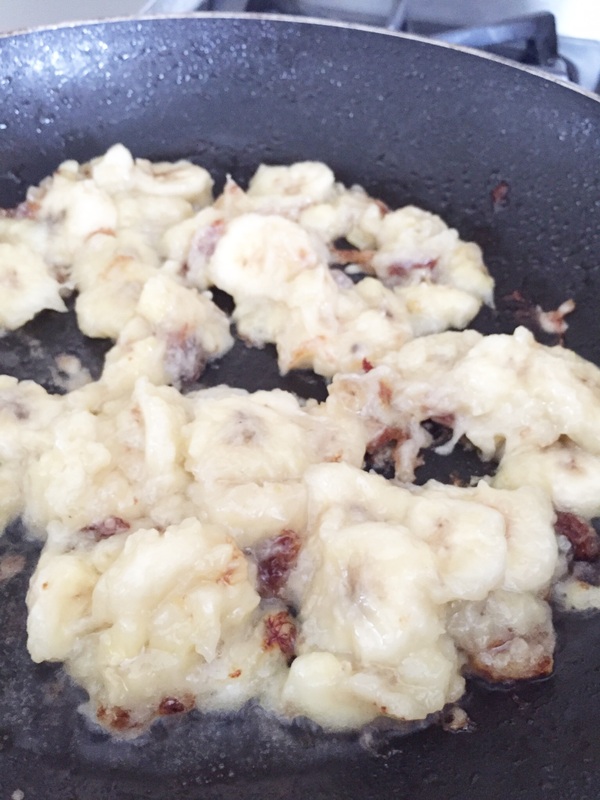 Heat coconut oil in frying pan and add bananas. Fry until they are caramelized. 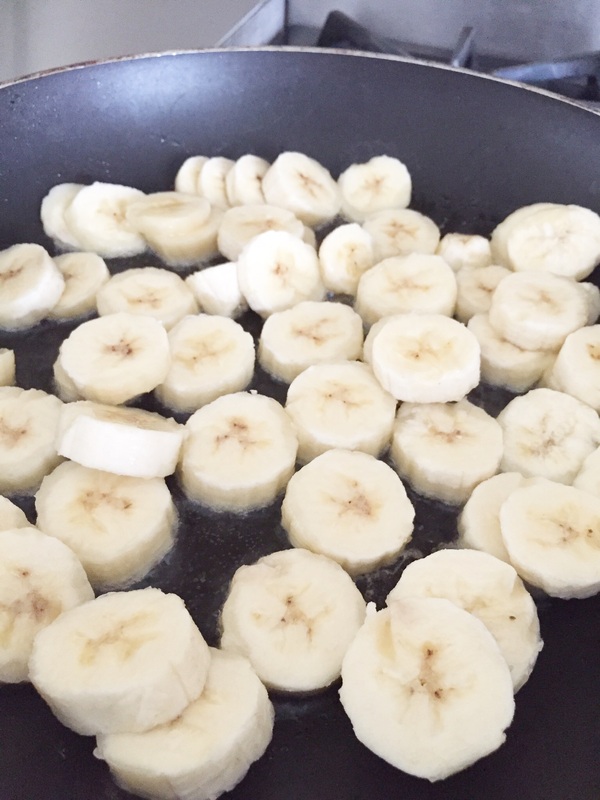 Remove bananas from pan into a bowl. Add coconut milk, lemon juice, honey and chia seeds. In another mixing bowl, combine flour, coconut, baking powder and salt. Add the banana mixture to the dry ingredients and mix well with a wooden spoon. The batter will be thick. Divide batter between the two loaf pans and spread out. 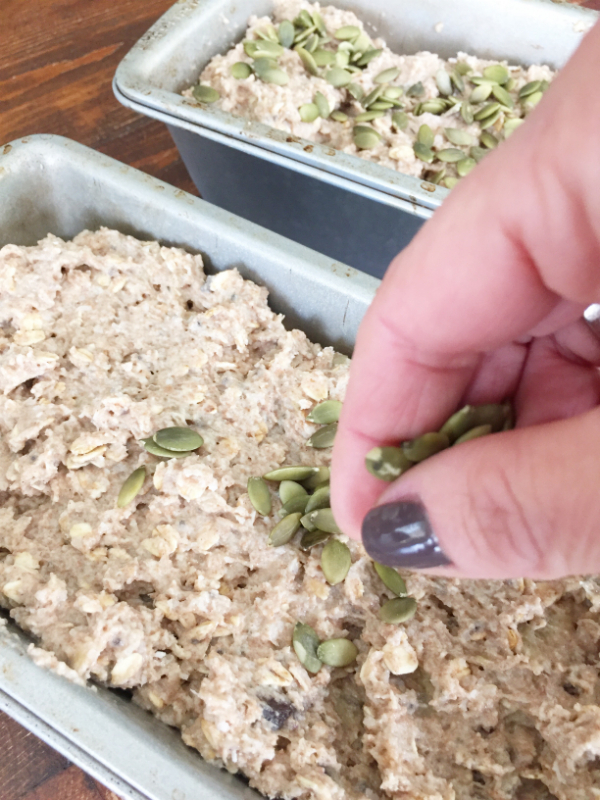 Top loaves with pumpkin seeds and coconut and press lightly into the batter. A few quick tips…Even if your bananas aren’t overripe, you can still use them as the caramelization really helps to break them down. They sure don’t look pretty, but they they add a ton of flavor to this bread and they just get mixed in anyways. I used spelt flour from Anita’s Organic Mill. Bob’s Red Mill also has a spelt flour. Dessicated coconut is readily available at grocery stores. 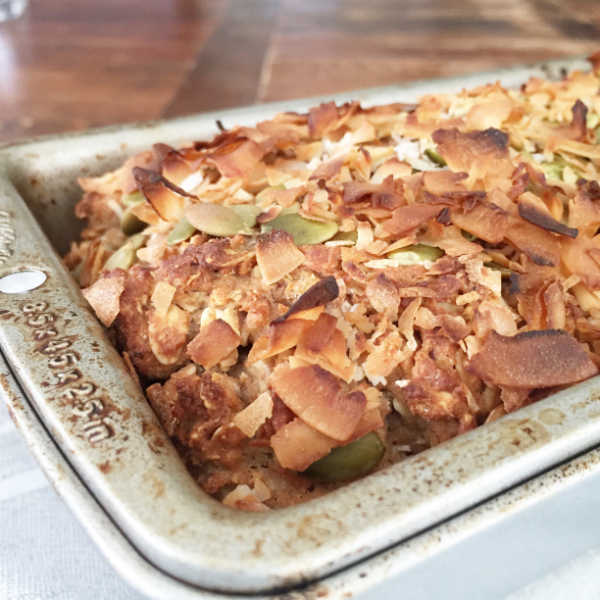 It’s finer than shredded coconut and makes cutting the loaf easier. I find when you try to slice through shredded coconut, the loaf tends to fall apart. 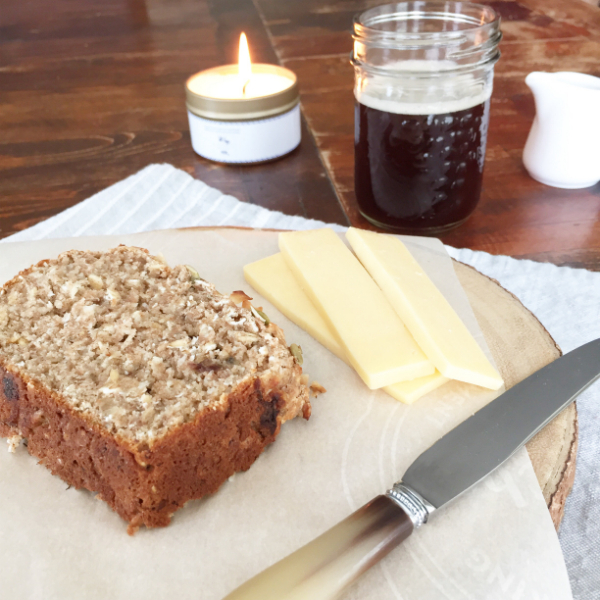 This bread is quite delightful with a cup of coffee and great for a light lunch with some cheese. 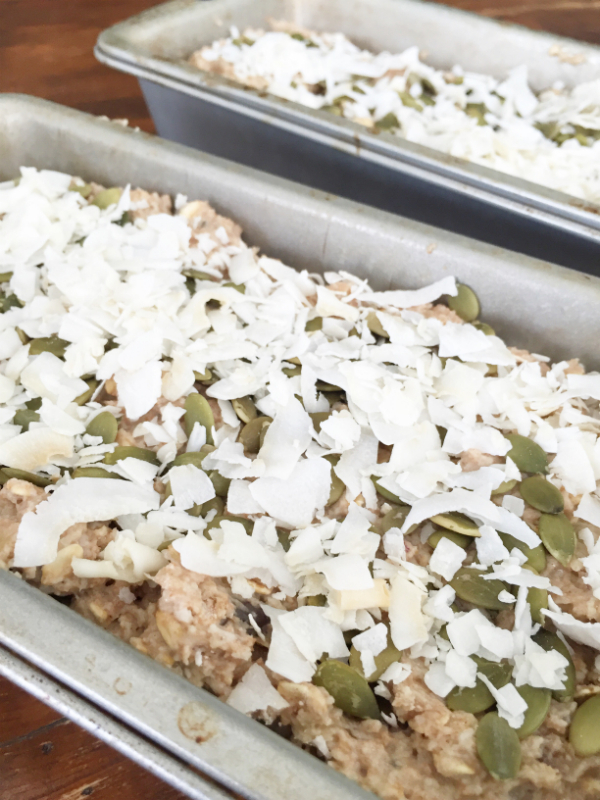 And with the coconut, chia and just a touch of honey (only a 1/4 cup per loaf), it’s super healthy! 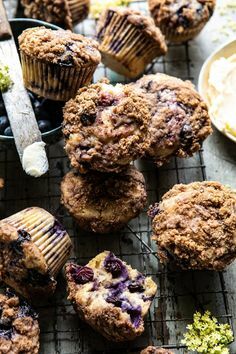 Some things I may try adding in the next time I make this are dark chocolate chips, chopped dates, nuts (if I’m not sending it to school) or dried cranberries. 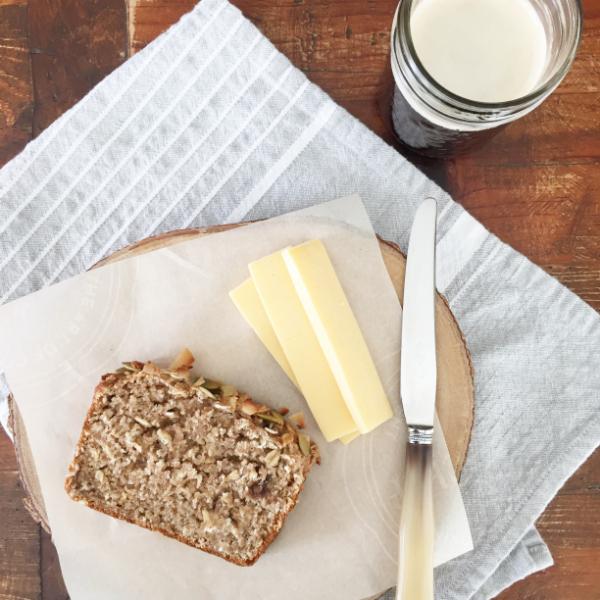 Once the loaf has cooled, you can cut it into slices and freeze pieces individually in Ziploc bags…that is if it doesn’t get devoured right away!